If you’ve never had homemade ice cream before, I feel sorry for you! It’s so much better than store bought. I can’t really describe the difference…probably the closest thing I can think of to compare it to would be snow cream. 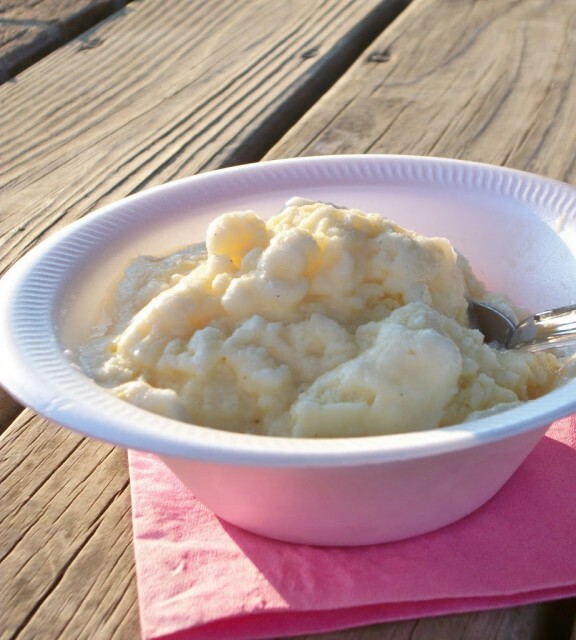 If you’ve never had snow cream, well then you should definitely make this ice cream! We make our ice cream in an electric White Mountain ice cream maker with a wooden bucket, the kind that you add ice and salt. I’ve never used one of the ice cream makers that you freeze the bowl, but I’m sure this recipe would work with that kind as well. I didn’t bring my light set home for my break, and by the time we made the ice cream it was 7 pm so it was harder to find good light. And yes, the bowl is styrofoam….but we ate the ice cream sitting on the back porch in lawn chairs so we didn’t need fancy bowls. It’s almost sank in that I don’t have to study this week and I’m having a very relaxing break just running, swimming, baking, and making ice cream (at least a couple more times before my break is over). Enjoy! 1. Combine the 4 yolks, 4 cups milk, and sugar in a large sauce pan over medium-medium high heat and whisk constantly until it just starts to boil and bubble up. 2. Beat the egg whites until stiff and whisk into hot custard mixture. (Mixture will be very frothy at this point. Don’t be concerned, this is normal.) Add vanilla, salt, evaporated milk, sweetened condensed milk and remaining 2 cups milk. Chill for at least 2 hours or overnight. 3. Freeze according to manufacturer’s directions.